A computer scientist from the University of Houston and a doctor of sleep medicine at the University of Texas Health Science Center at Houston have teamed up to create a new, less invasive method of diagnosing sleep apnea. Their findings appear in the November issue of the journal Sleep. Sleep apnea is serious disorder that causes a person to momentarily stop breathing while they sleep. These pauses in breathing can occur many times an hour, and can cause low oxygen levels in the blood and chronic sleepiness, which in turn can lead to deadly accidents. Sleep apnea has also been associated with a range of serious health problems including depression, heart disease and stroke. Adding to the difficulty in getting a sleep apnea diagnosis is the invasive nature of current testing methods. 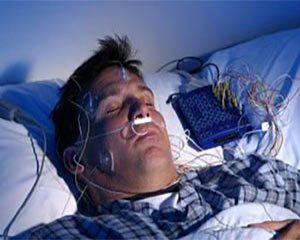 “During a sleep study a subject has an average of more than 20 sensors attached to the head and body. It’s a very complex procedure where many physiological parameters are simultaneously monitored to help in the diagnosis of sleep disorders. However, these sensors can disturb sleep and contribute to the patient’s anxiety,” said Jayasimha N. Murthy, assistant professor of medicine from the Division of Pulmonary Critical Care Sleep Medicine at UTHSC at Houston and study co-investigator. The new diagnostic procedure developed by Pavlidis, Murthy and their collaborators uses a thermal infrared camera to monitor breathing waveforms and airflow as a patient breathes in and out of his or her nose. The measurements are processed using computational algorithms and produce results that have proved to be as accurate as traditional polysomnography. The new method also provides doctors with more information about the patient’s breathing. The researchers believe that this new technology could change the way sleep apnea is diagnosed, potentially helping millions of Americans sleep better and possibly live longer.